JAMES 5:16 (1)Confess [your] (2)faults (3) one to another, and (4) pray one for another, that ye may be healed. The (5) effectual (6) fervent (7) prayer of a (8) righteous man (9) availeth much. Let’s take a look at James 5:16. There is some very important points that one can receive by breaking this verse down and taking a good look at it. (1) Confess: What does it mean to confess? 1843 exomologeo, ex-om-ol-og-eh’-o; from 1537 and 3670; to acknowledge or (by impl. of assent) agree fully:-confess, profess, promise. ^ exon. See 1832. One of the first things that we get from this definition is: to acknowledge or (by implication of assent) agree fully. If you want God to answer your prayers, then the first thing that you have to do is to acknowledge your faults (sin), agree fully that they are wrong! Many Christians that I talk to do not have good success in their prayer life, simply because of this one thing. They don’t want to accept their responsibility for their actions and sins. It is never their fault or it is always beyond their control. You may deceive yourself, but you CAN NOT deceive God! If you want to be in a position for God the Father to hear your prayers AND ACT on them, you MUST acknowledge your faults and fully agree that they are WRONG! (2) The next thing to look at in this verse is: Faults. 3900 paraptoma, par-ap’-to-mah; from 3895; a side-slip (lapse or deviation), i.e. (unintentional) error or (wilful) transgression:-fall, fault, offence, sin, trespass. Here we can see that the word, faults, can mean anything from a simple mistake to a well thought out full blown sin! It can mean to side-slip or lapse from ones duties (duties to: God, Country, Family, Church and Community). I know that none of us EVER do that! But the truth of the mater is, that most of us do in more ways than we would like to admit! Sin is sin, is sin, is sin….. Get the point? Any sin can cause you weakness in your prayer life. Satan will grab it and use it against you in a heart beat. Have you ever wanted to pray and found yourself not able to ‘get in the mood? Have you ever tried to pray and found your mind wandering? This is an example of what it means to ‘side-slip’ or lapse. Instead of making excuses for them, confess them and acknowledge that YOU are the one wrong here and stop trying to make excuses for them. If you have committed an offense, go to that person and tell them. Asking their forgiveness. If they give it fine! You have won a brother or sister. If they will not forgive you, well you have done the right thing and Satan can no longer use it against you. If you have committed a sin, confess it to your heavenly Father who is faithful to forgive. Leave no ground for Satan to come in and steal your victory! (3) This one is hard: one to another. We don’t need a Strong’s definition on this one, but we do need a little wisdom in the exercise thereof. I have seen more churches and families broken up over the mishandling of this verse and these words. I knew of a man one time who had cheated on his wife early in their marriage. She did not know what he had done it. He heard a teaching on this verse along with others and was told that he should go and tell his wife. It destroyed their marriage! If I had counseled him in this matter and found out that this thing had happened years ago in the beginning of their marriage before they were Christians and that she did not know about it, I would have told him to confess it to God and forget it! BE CAREFUL WHO YOU CONFESS TO! I can’t stress this too much! BE CAREFUL WHO YOU CONFESS TO! Confession of sin should only be made in the presence of a MATURE Christian. Why should we confess one to another? Simple, things hidden always have a way of coming out in the open. If they are not hidden, then you won’t live in fear of someone finding out. Fear is the faith killer! Fear is the enemy of Faith! One can not have FAITH and have FEAR! Get the point? Satan does use fear and he will use it with everything that he has. (4) Now lets take a look at this next part: pray one for another, that ye may be healed. The first thing to notice about this phrase is that it DOES NOT SAY: Pray one for another, that THEY may be healed. What it DOES SAY is: Pray one for another, that YE may be healed! Praying for other people HEALS YOU! This kind of prayer that James is talking about here, heals your SOUL, SPIRIT AND BODY! I am fully persuaded that if we could get a real handle on this verse that no Christian could be hit by sickness from Satan! 1754 energeo, en-erg-eh’-o; from 1756; to be active, efficient:-do, (be) effectual (fervent), be mighty in, shew forth self, work (effectually in). 1756 energes, en-er-gace’; from 1722 and 2041; active, operative:-effectual, powerful. It means to be active in an efficient and mighty way. To show forth yourself (unselfish). How does one pray in an effectual way? First you have to KNOW what you are praying about! Another side of effectual prayer is powerful. I want to show you a parable that Jesus told and point out a couple of things in it. What is not made clear here to us, but to them made since, is this: First, a mustard seed is an herb. You know what herbs are, they are those little plants that we get spices from. Most herbs don’t get over two to three feet in height. Second, if you put something over the seed of an herb, it will not germinate. Now if you had been sitting there with Jesus when He gave this parable, you would have see large tree like mustard plants growing right out of the rocks! You see, what sets the mustard seed apart from the other herbs, is that it can be carried under a boulder and left there and it will still germinate. 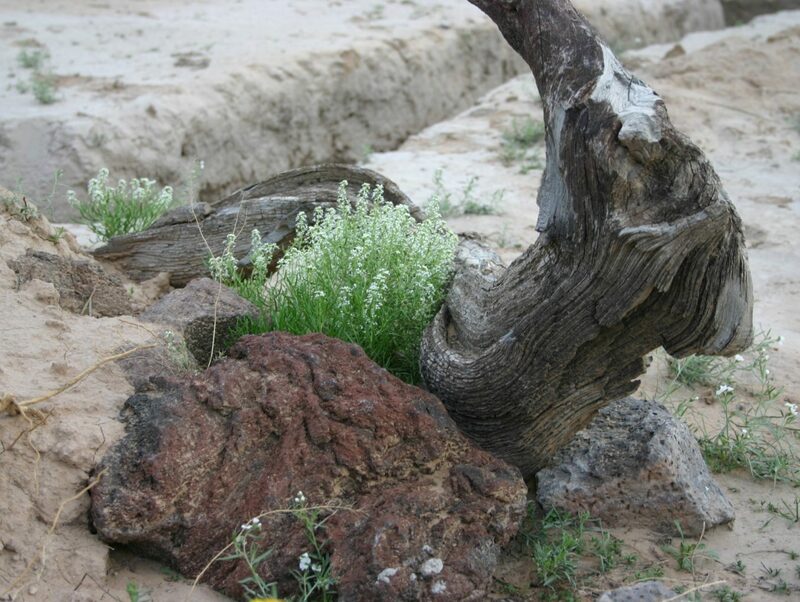 After it germinates, it will find a crack in the boulder and begin to grow into that crack. It will grow until it splits that boulder in half! God put in that mustard seed a type of faith that tells it that if it continues to grow and does not give up, it will find the Sun in the sky! Jude tells us that we must build up ourselves ON our most holy faith by praying in the Holy Ghost! Praying in the Holy Ghost is, praying in Tongues! If Satan can convince the church not to pray in tongues, he can rob it of mustard seed type faith! It takes FAITH to pray in tongues! Your mind rebels against it. Effectual faith and prayer had to be developed, it does not come without a price. The price for this kind of prayer and faith is having to give up pride, stubbornness, self-willed, disobedience and laziness. (6) Next we look at fervent. You can’t have effectual prayer without fervent prayer. The two just go together. Fervent means to be serious. When you put effectual together with serious, you have a combination in the spirit that can be compared to putting hydrogen and oxygen together. They are explosive! 1162 deesis, deh’-ay-sis; from 1189; a petition:-prayer, request, supplication. 1189 deomai, deh’-om-ahee; mid. of 1210; to beg (as binding oneself), i.e. petition:-beseech, pray (to), make request. Comp. 4441. ^ deon. See 1163. GEN 32:27 And he said unto him, What [is] thy name? And he said, Jacob. GEN 32:29 And Jacob asked [him], and said, Tell [me], I pray thee, thy name. And he said, Wherefore [is] it [that] thou dost ask after my name? And he blessed him there. You can not give up when you pray, but pray believing that you will receive what you pray for. 1342 dikaios, dik’-ah-yos; from 1349; equitable (in character or act); by impl. innocent, holy (absol. or rel. ):-just, meet, right (-eous). Holy, innocent and equitable. God the Father does give us the gift of righteousness through Jesus Christ our Lord. And He forgives us our sins. We can not be righteous of ourselves. But we DO have to stand in that righteousness by faith and not abuse it. Then are we innocent and right before Him who called us unto adoptions as dear children. A parent whose child is always rebellious and misbehaving, is not likely to want to reward that child. A parent whose child is attentive and obedient is a blessing to that parent and therefore the parent wants to do good things for that child. (9) The final word to look at in this verse is: availeth. 2480 ischuo, is-khoo’-o; from 2479; to have (or exercise) force (lit. or fig. ):-be able, avail, can do ([-not]), could, be good, might, prevail, be of strength, be hole, + much work. 2479 ischus, is-khoos’; from a der. of is (force; comp. eschon, a form of 2192); forcefulness (lit. or fig. ):-ability, might ([-ily]), power, strength. It means to prevail with strength. To be forceful and mighty. The prayers of a righteous man are forceful and strong. They produce results that can be seen by others. This is the type of prayers that we should be putting forth as believers in Christ Jesus.